According to a report in the Dutch newspaper, De Telegraaf, Tom Dumoulin will defend his Giro d’Italia title in 2018. 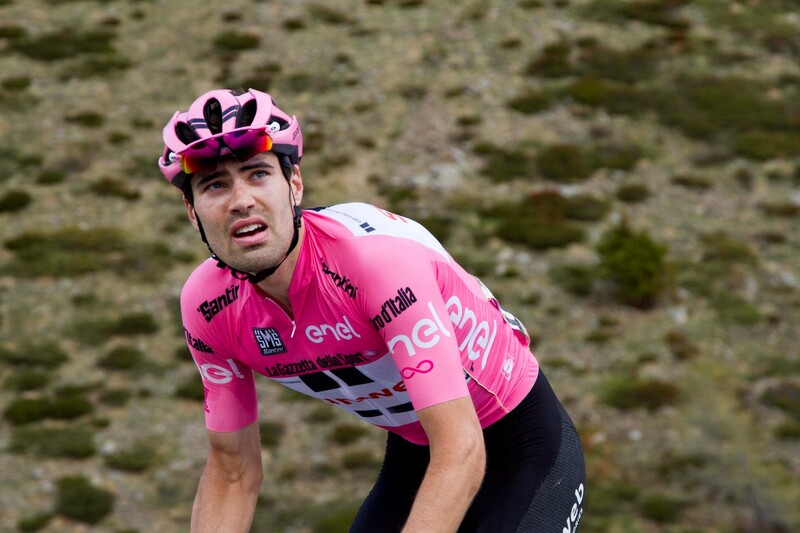 Dumoulin said that he had initially decided what his Grand Tour goals would be for 2018, during last month’s presentation of the Giro d’Italia route, but insisted he would only reveal his final decision at his team’s presentation in Berlin in the New Year. However, De Telegraaf’s article suggests otherwise. “The course is nice, it’s a good mix of everything but it’s not perfect for me. I would have liked more time trial kilometers, but I can understand the race organizer, they want to have an exciting race where anybody can win”, Dumoulin said. “It’s hard to say which suits me the best, the Giro or the Tour.” “They’re both very challenging and very nice. I like both courses. They both have a little bit of everything but they’re not perfect. The Giro is not perfect for me because it’s lacking time trial kilometers, it’s the same for the Tour. 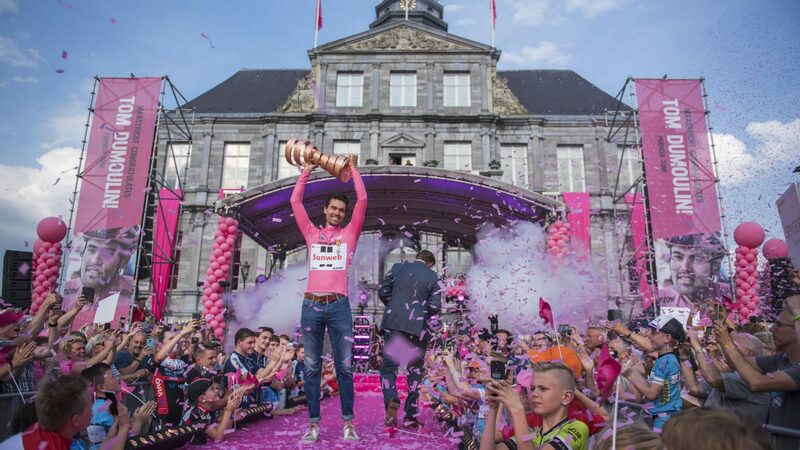 Dumoulin became the first Dutch rider to win the Italian Grand Tour in May ahead of Nairo Quintana (Movistar) and Vincenzo Nibali (Bahrain-Merida).